Columbia Police Chief W.H. ‘Skip’ Holbrook announces that officers are working to identify and locate two armed robbery suspects accused of stealing thousands of dollars’ worth of jewelry from a Harbison area store. The incident happened at 343 Harbison Boulevard (Jared) shortly after 8:00 p.m. on Wednesday, April 10, 2019. 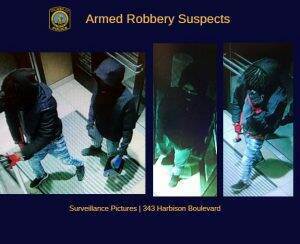 Both suspects were seen in surveillance pictures wearing blue jeans and dark jackets or hoodies. At least one is described as having dread locks. 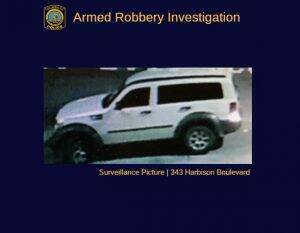 Investigators believe the duo left the crime scene in a white, jeep-like vehicle. No one was injured the incident. CALL toll-free, 888-CRIME-SC. LOG onto: www.midlan dscrimestoppers.com, and click on the red “Submit a tip” tab.